For authors with ebooks published via the Kindle Digital Publishing (KDP) program, there is an option to participate in the controversial KDP Select program. With this program, you can make your ebook (Kindle version) available in Amazon’s lending library where Amazon Prime members can borrow your ebook. In exchange, Amazon sends out checks each quarter to participating authors as a sort of reward system for lending your ebook instead of selling it. The amount you will actually earn will be determined by Amazon, based on a quarterly fund established by Amazon to compensate authors for participating in the lending program. You will receive a percentage of the quarterly fund based on that number of times your ebook was borrowed. That means that the fees you earn will change each quarter. With the KDP Select program, you can also opt to participate in a give-away event, where you make your ebook available for free download for a period of time (from one to five days). The point of these campaigns is to help attract new readers, and thus more buzz, for your book. Authors have reported from hundreds to thousands of downloads generated during these campaigns, though fiction authors tend to achieve a higher number of downloads than nonfiction authors. Unfortunately, Amazon does not provide you with any user information so you have no way of tracking, or contacting, the people who downloaded your book. The biggest downside of the KDP Select program is that in order to participate, you must grant Amazon exclusive rights to distribute your ebook. That means that while you are enrolled in the KDP Select program, you cannot distribute your ebook through Smashwords, Barnes and Noble’s Nook store, iBooks, Sony or any other major ebook retailers. And Amazon will first verify this detail before accepting you into the program. Amazon also tries to entice authors to participate in the KDP Select program by increasing royalty rates authors earn for ebook sales in Japan, India, and Brazil—countries where frankly, most authors aren’t likely to sell many books. With all of this in mind, it’s really a personal decision whether you want to participate in this program or not. If you are struggling to generate ebook sales, especially from the non-Amazon ebook retailers, then the risk is probably minimal on your part since you won’t be cutting off a major book sales artery. 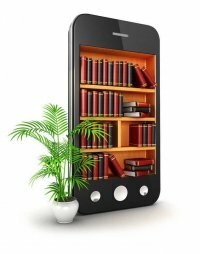 But if your sales are cranking on the iPad or Nook, then this program probably won’t make a lot of sense for you. In chapter 8, I also provide you with an alternative solution to conduct your own ebook give-away, without working with the Amazon KDP Select program. If you like this blog post, you’ll love our All About Amazon Course! Learn more about our courses for authors here.